This is probably the best book I have read on the creative process. I could see myself and a lot of people I know in its pages as I read through it. And I don’t think of myself as a creative type! I really liked the idea of developing a creative rhythm. It connects with the idea of living intentionally, which I believe is a key to being successful and productive. More and more I am finding myself in situations that require creativity, and I’ve noticed that there are certain times I naturally have more creative energy than other times. Paying attention to that rhythm and planning for it just makes sense. Understanding that creativity is a process one can influence was a key insight for me. I think I’ve been guilty at times of waiting for the bolt of lightning to break through. With that is the importance of setting yourself up to be creative. I have never connected the importance of learning, investing in relationships, and having new experiences as elements that factor into my creativity, although as soon as Henry said the words it seemed obvious. Finally, the idea that your creative muscles can be damaged or worn down was intriguing to me. I’ve certainly seen that in relation to other areas, but, again, I never connected it to creativity. You can’t be “always on” in terms of being creative, just as you can’t in any other area. Again, it highlights the importance of developing a rhythm, one that includes times of taking in and restocking and other times of output. What did you connect with? Are there other things you’ve learned regarding creativity that you would add? If you are serious about becoming a more effective leader, Bill Hybels is someone you should be listening to. 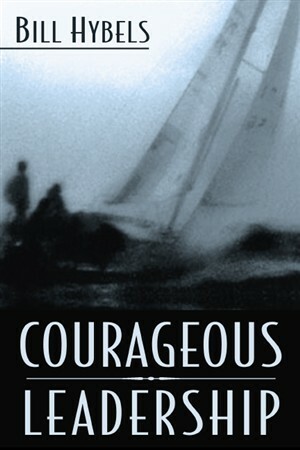 I read Courageous Leadership when it first came out, and again for this summary. Both times I was encouraged and challenged in significant ways. Every chapter has insights worth taking the time to think about. This time around I was struck by two particular things. The first had to do with vision, and how it comes. Hybels says that vision most often comes from seeing what God is doing somewhere else, or through someone else, and that stirs something in us. I’ve found that to be true, but I must confess that I sometimes resist that. I find myself thinking that I should get my vision “directly from God,” that I don’t want to just copy someone else. The truth is, I don’t want to copy someone else, but being inspired by someone else’s work isn’t the same thing as copying. Often God uses other people to stir us, teach us, encourage us, or envision us. Who cares how he gives it, as long as he does? No matter where it comes from, as long as it burns in our soul, it’s good, and we need to embrace it. With that comes the question of how we communicate vision. As Hybels says, the best way to communicate vision is, by far, to embody it. Nothing else compares. That is so challenging! It is far easier to talk about vision than to live it. Long ago, I learned that when it comes to ministry, we reproduce who we are. Whatever we truly want to see in our churches, we have to pursue it in our own lives. It doesn’t matter what it is—prayer, evangelism, justice, healthy relationships, or other things, it has to be something our people can see in our lives. That adds moral authority to our words. Again, on the topic of vision, Hybels says, “At a certain point people need more than vision. They need a plan, a step-by-step explanation of how to move from vision to reality.” For me, that part is much harder than just having a vision. But that is where the rubber meets the road when it comes to actually getting things done. I’ve found that it’s essential for me to pull other people into the planning process if I’m going to do it well. I can easily oversimplify things or not think them through thoroughly, resulting in ineffective plans being made. I need to get people around me who complement me if I am going to turn vision into reality. While all of that is important, I was most touched by the example of Mother Teresa and her complete submission to God. It challenged me to do some honest soul-searching. I ask myself, “Am I fully yielded to God, or are there areas I am holding back on or compromising in?” Ultimately, that is the most important leadership question anyone can answer. If our leadership is going to have an eternal impact, we need to be fully submitted to God. Everything starts there. Here’s my question: what are the things that hinder you from being fully submitted? For me, I find that the enemy is busyness. That keeps me from spending enough quality time with God, and without that I quickly start operating in my own strength and doing my own thing. What gets in your way? And how do you deal with it? Keller’s book Counterfeit Gods takes a deeper look at idolatry than I have ever done. I found it insightful and challenging. I would have said that I had a good understanding of the topic, but Keller goes to a whole different level. I found it hard to choose only one or two things to comment on. But I will anyway. One thing that really stood out was one of the results of having an idol in your life: “One of the signs that an object is functioning as an idol is that fear becomes one of the chief characteristics of life.” When anything less than God is at the center, we intuitively know that it can be lost or taken, that it is fundamentally insecure. That causes fear. If you aren’t sure if you have an idol in your life, look for the fruit—fear being a big deal. That’s a great tip-off. I never thought of looking at the fears in my life as ways to identify idols, but it didn’t take long to see how that could be true. Maybe my fear of failure is connected to some kind of idolizing of success or of performance being the basis for my identity. That begins to strike close to home. I was also struck by another diagnostic tool. “The true god of your heart is what your thoughts effortlessly go to when there is nothing else demanding your attention.” I thought that was brilliant. What do I think about without trying; where do my thoughts naturally go when there are no demands on my brain and no to-do list in front of me? Do I think about how I would spend the money if I won the Lottery? Or what it would be like if I was the greatest basketball player ever? Of if I had a ministry that was changing the world? Where do we go in our unscripted, unguarded moments? I wish I could say I always thought about seeing Jesus face to face, but that wouldn’t be true. Finally, looking at what is underneath our most volatile and painful emotions. What gets us stirred up at the deepest levels? And how does that affect the choices we make? Keller says we all have idols and potential idols lurking in our lives. Reading Counterfeit Gods actually exposed some of mine to me. What about you? Were there things that stood out to you? Succession is a topic I am hearing more and more about the last couple of years. Interestingly, I seldom heard anything about it for the preceding twenty-plus years. I think it’s good that we are finally looking at this as the important process it is. Frankly, I don’t have much experience in this area, so I don’t have much to add. 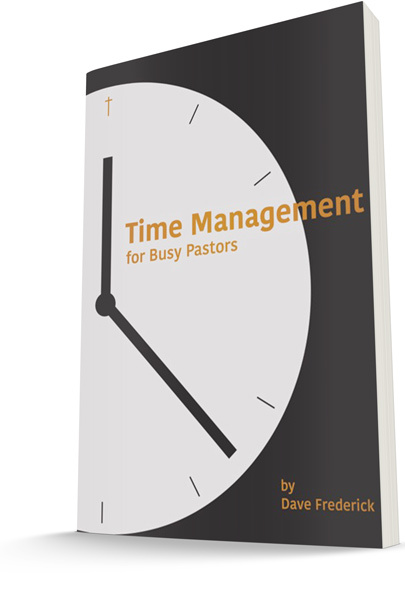 But one thing I did make note of was the reasons why pastors tend to stay too long. First was a lack of finances. Pastors feel forced to remain in their positions because they have no other way to support themselves. Unfortunately, this is a long-range issue. Planning for retirement needs to happen many years ahead of time; that isn’t something that can be addressed in a few years. Smart pastors—and smart churches—will take that into account when they plan compensation packages. Second was not having anything else to do. Too many pastors don’t have a vision or plan for what they will do after retiring. Their whole life is focused on their church, and all they see when they try to look beyond that is a void. Personally, I don’t think it is true that our ministries end when we retire from being pastors; our ministries will simply look different. But that, too, is worth thinking about and preparing for. Taken together, that means a wise pastor should be preparing for succession on a personal level well in advance. I think it’s easy to say, “I’m years from retiring; I don’t need to think about that now.” And while that may be true on the church side, it is not true on the personal side. It may take one to three years to prepare the church; it could take ten to twenty years to prepare yourself. A common idea today is that “You can have it all.” Well, sort of. Let’s talk about how that really works. I really liked the viewpoint of The Longview—to approach whatever ministry you are in with the attitude that you will be there “for the rest of your professional life.” Of course, God can change your assignment at any time, but I think the approach of assuming you are wherever you are for the long term is spot on. As I went through the book, I realized that I take that viewpoint for granted. Everywhere I have ministered I have assumed I would be there for the long haul and have not looked for other opportunities. However, I haven’t usually thought of that in an intentional way. In other words, I haven’t prayed, planned, and worked with the mind-set that I was investing for the next 10 to 20 years or more. It’s been an assumption, but when I found myself being intentional about it—bringing it to the forefront of my mind—it affected me in surprising ways. I found adopting a longview perspective quite energizing, and, in some ways, thinking through this assumption decreased stress. I didn’t feel like I had to get everything sorted and moving right away. I can build intentionally over time, which allows for more depth, quality, and patience with the process. I also found the author’s insights on the ego-driven leader vs. the statesman to be spot on. I have seen both types of ministers over the years I have been in ministry, and I think it is one of the most important distinctions we can make. Ego-driven leaders think they are smarter or better than others. They would seldom say that out loud, but it is apparent in the way they relate and how they make decisions. Statesmen, however, are different. They are secure in themselves and don’t feel a need to prove anything to others; they try to minimize the distance between themselves and their followers without giving up their authority and responsibility; they seek to broaden access to themselves rather than create false barriers to keep people at a distance. I have known some leaders like that, and without exception, they have had the greatest effect on me and on a large number of people. They have a proven character that allows people to trust them and to follow them without fear. I aspire to be that kind of person and that kind of leader. So, do you take a longview perspective and approach to your ministry? What difference has that made for you and those around you? A lot of people are looking for a breakthrough in their life. Today we’ll talk about one of the keys to getting a breakthrough—and keeping it! Subscribe to Leaders Book Summaries and get your free copy of Dave's eBook ($19.95 value). Life is Not a Marathon!